Part of Honeywell's family of self-contained wireless controls, Honeywell's Lynx Touch 7000 control panel features a bright, 7" full-color touchscreen with graphic icons and intuitive prompts for easy operation. 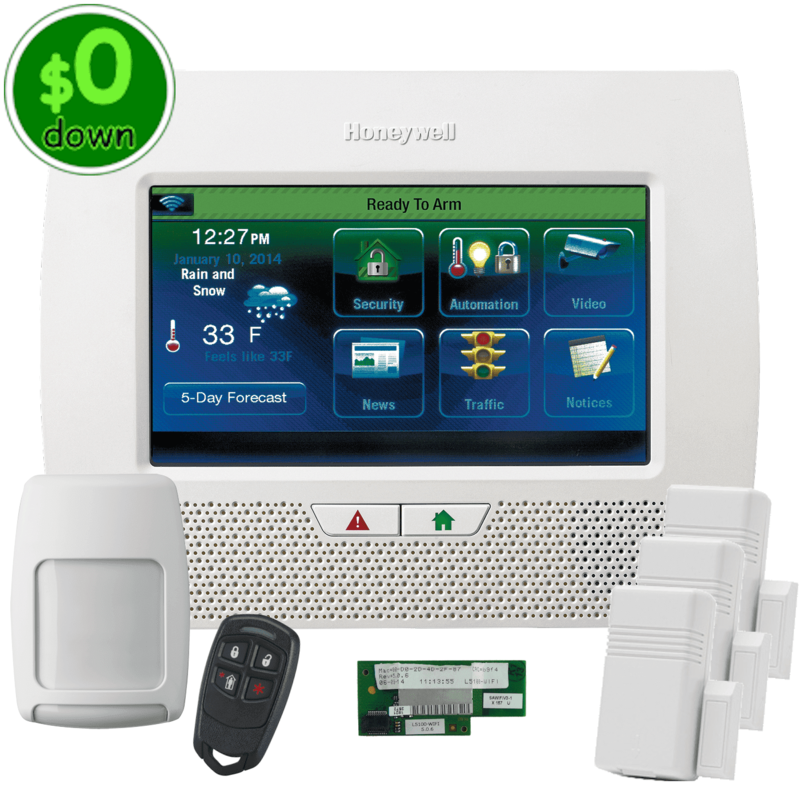 It features on screen video, garage door notification and control, tornado alerts for U.S. and Canadian residents, Z-Wave® automation capabilities and advanced alarm communications. Lynx Touch L7000 is designed for wifi communications. The WiFi® module L5100-WIFI offers the lowest cost alarm communications/remote services solution saving installation time and reducing monthly operating costs. Honeywell's L7000 Total Connect 2.0 App, provides consumers with the ability to use an iOS or Android device to view video and operate the system on premises.